From a fresh talent to a seasoned young musician, Aparna has performed for a variety of audiences in several cities in and outside India. Listed below are some of her major performances. 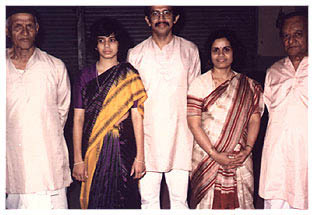 Debut Performance: In the year 1985, Aparna made her debut public performance at the Bharati Niwas Hall, Pune. Aparna toured Afghanistan to perform at the French Embassy and at the Kabul Cultural Centre in the 1st International Festival of Music. Performance in Goa August 2008. Performance in Basel (Switzerland) with Lawrence Casserley and vocalists from UK, Norway and Germany May 2008. Performance at Cologne (Germany) with Lawrence Casserley May 2008. 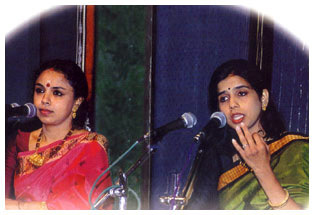 Tasavvur - A Program of Urdu Shayari sung by Aparna March 2008. Another interesting milestone in her Southern sojourn was the Jugalbandi with the popular Carnatic Vocalist Smt. Sudha Raghunathan in November 1999. This was a benefit performance for the cause of the cyclone victims of Orissa. One more of Aparna¡¯s successful tours have been in Rajasthan. Invited by the Rajasthan Sangit Natak Academy, her tour included a performance at the prestigious Royal Holi Programme of the Meharangad Museum Trust. It was graced by the presence of His Highness the Maharaja Gajsinghji of Jodhpur. 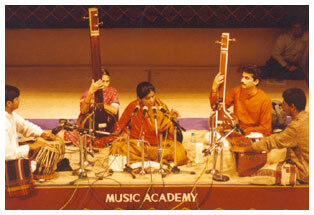 Aparna performed at the prestigious Music Academy in Chennai in 1999. 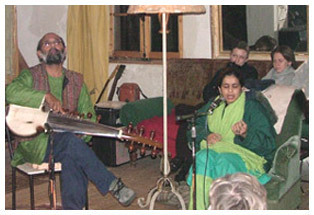 Aparna presented Urdu poetry in this programme. Popular Marathi poet Late Shri Suresh Bhat blessed the concert with his presence. 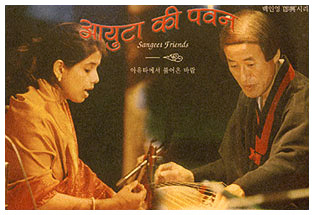 Aparna has toured South Korea for concerts. 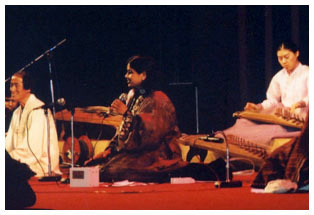 In August 2002 she, along with four Indian instrumentalists performed in the International Sori (sound) Festival in Jeonju. 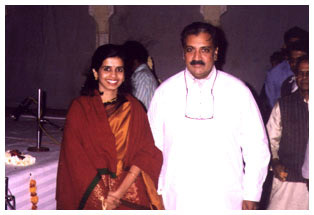 As an upcoming vocalist, she performed at the reputed Dadar Matunga Cultural Center Youth Festival, Mumbai in January 1992. The National Centre for Performing Arts, Mumbai invited her in the year 1994 to perform for their discerning audience. An interesting highlight of Aparna's diverse interests within the musical domain is her association with the Atmasantulan Village Center, Karla, Maharashtra, where she performed in August 1994 and again in Dec. 1998. With considerable following from all over the world, this nature cure center experiments in healing through music. Aparna has been invited several times to Chennai, the baston of Indian Classical Carnatic Music. Her first performance in Chennai was at the Indian Fine Arts Society in 1997, during the acclaimed December Music Festival. 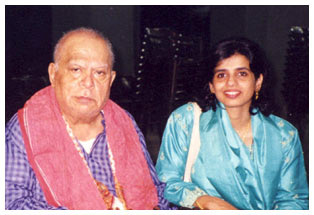 In September 1999, she was invited by Devaganavali Music Research Trust to present a lecture-demonstration on Voice Training in Hindustani Classical Music. This served as an effective ice-breaker with an audience who were seasoned and critical listeners of Carnatic music.